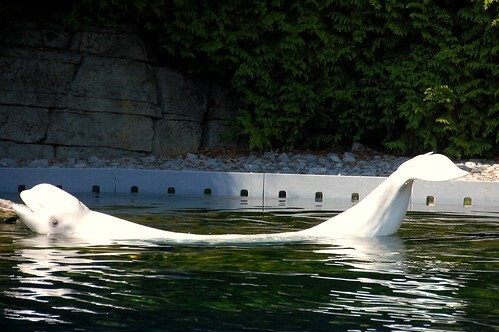 You cannot miss the belugas when you go to the Vancouver Aquarium. They are such delightful creatures! With regular admission, you will be able to see the following. 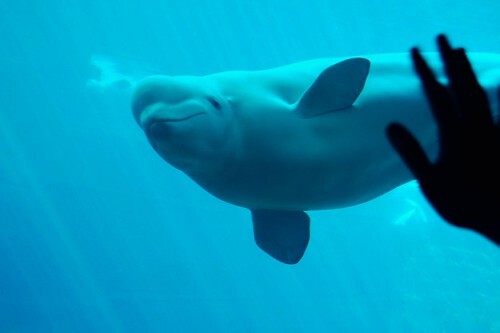 Currently, the aquarium is home to Kavna, Aurora, Qila, and Tiqa -- all females. 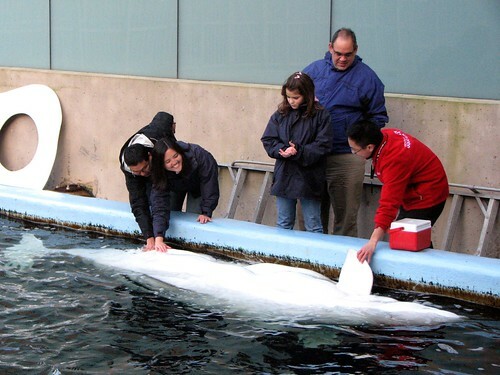 The little gray baby beluga you see above is Nala, who was born in 2009 and died suddenly only a year later. So sad! 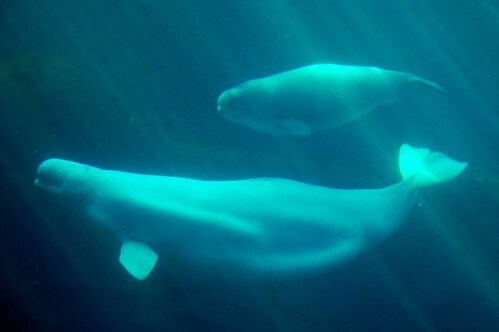 Belugas are born gray and get whiter as they age. 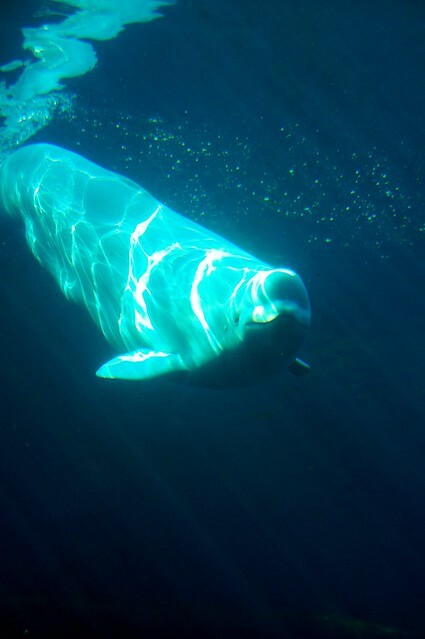 The older a beluga, the whiter it is. 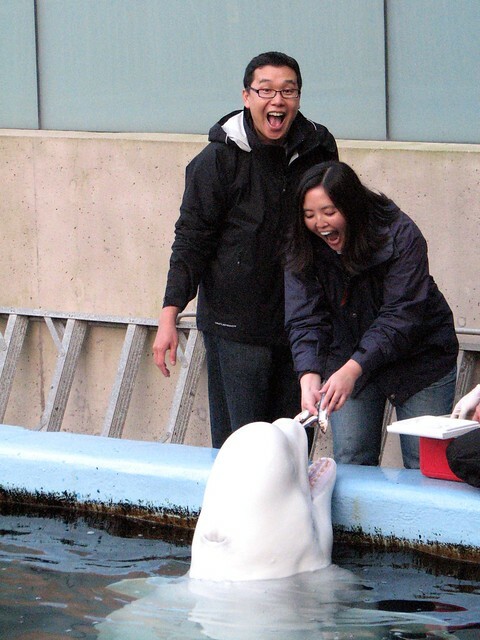 We had such a great time during the Sea Otter Encounter, Steller Sea Lion Encounter, and Dolphin Encounter. 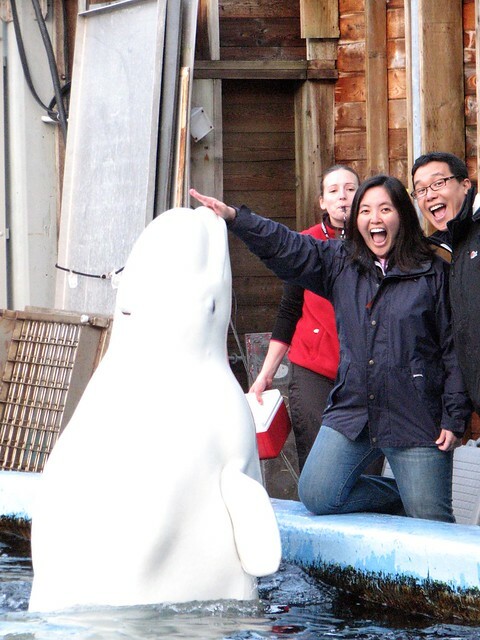 It was only natural that we do the Beluga Encounter, too. 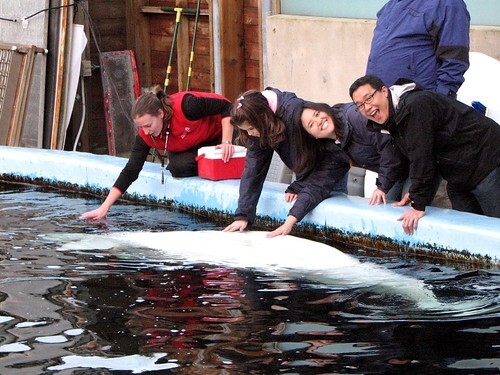 Like the Dolphin Encounter, the Beluga Encounter does not permit cameras, but you will be provided a CD with photos at the end of your session. 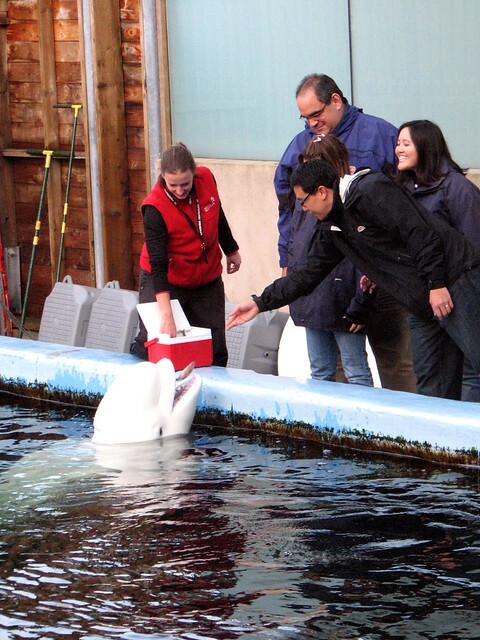 When we visited, Imaq was the featured beluga for the encounter. 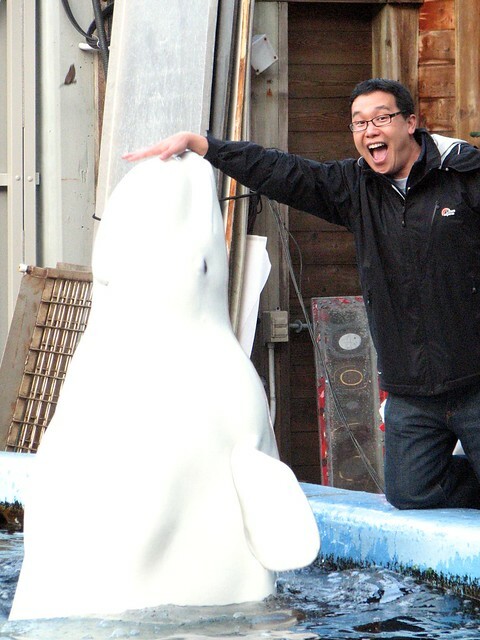 He is currently on breeding loan to SeaWorld. Imaq sure knows how to have fun. 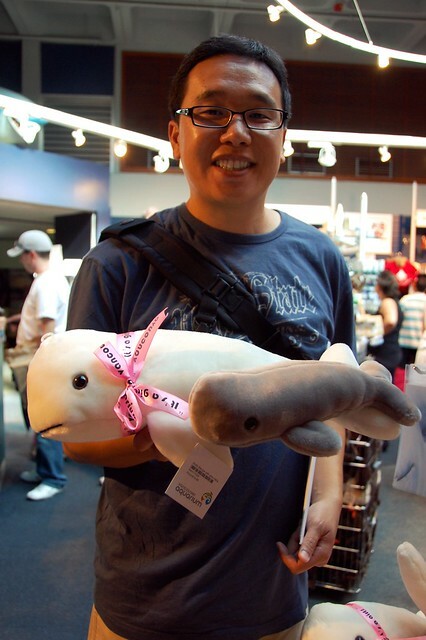 The gift shop has all sorts of beluga-themed mementos. If you're lucky, you might run into this cuddly guy. 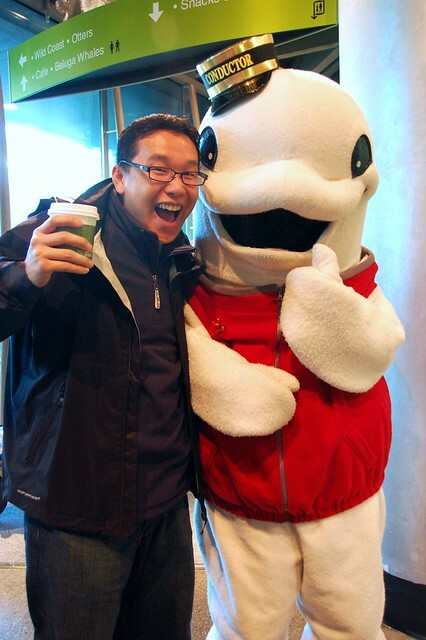 This concludes my blogging about Vancouver. Hope you enjoyed the ride! That looks so cool! I have to visit this aquarium in the future! Glad you had a great time and can't wait to see what you have next lined up for your blog! I hope you're happy. 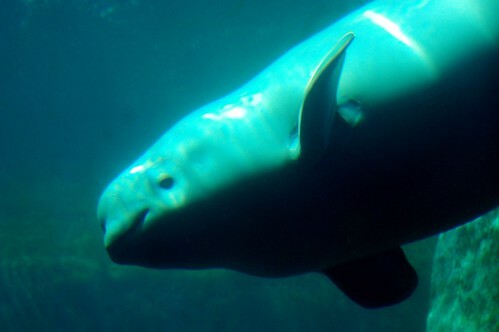 I will now spend my entire day with "baaaaaby Beluuuuuuga, oh baaaaby Beluuuuuga" stuck in my head. 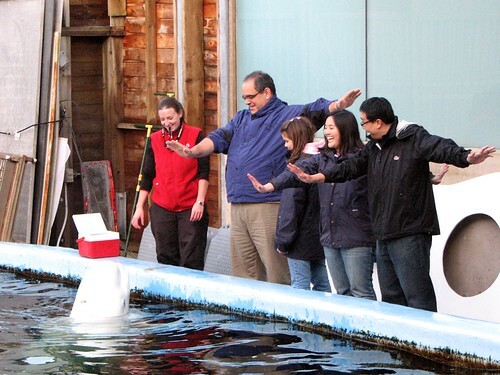 Our Beluga area is like being in an icebox, was this equally as cold? Amazing!! So glad you weren't here with me to witness the ridiculous oohing and ahhing I did over these pics. So freaking cool. 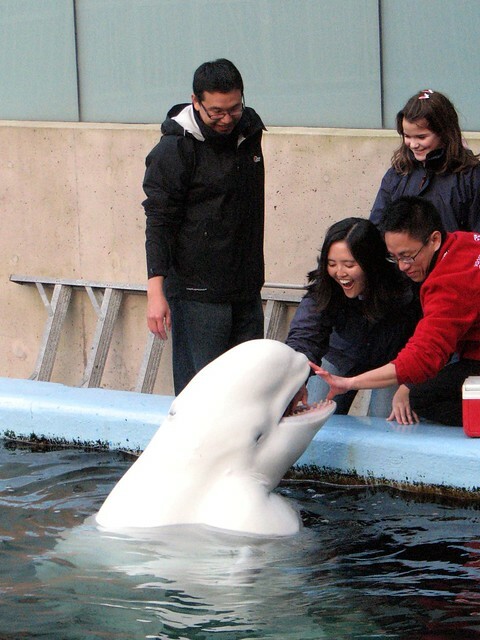 I wanna snuggle with the beluga! And you guys looks so happy, I love it. How cute! Looks like you all had so much fun too! 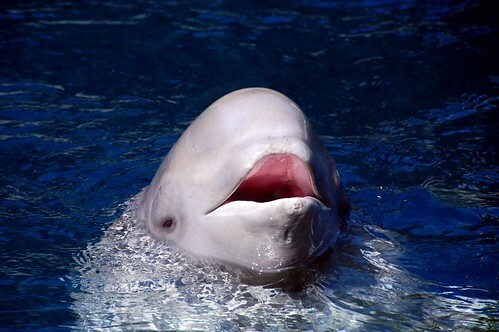 Now I have Baby Beluga in my head. 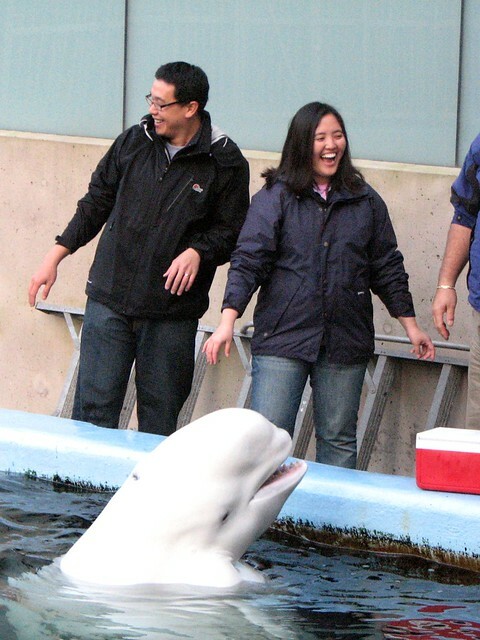 i also have that baby beluga song in my head now. so cute and smiley! i can't stop giggling at all of the open-mouthed shots. so awesome.